Melissa Graham hasn't added a story. 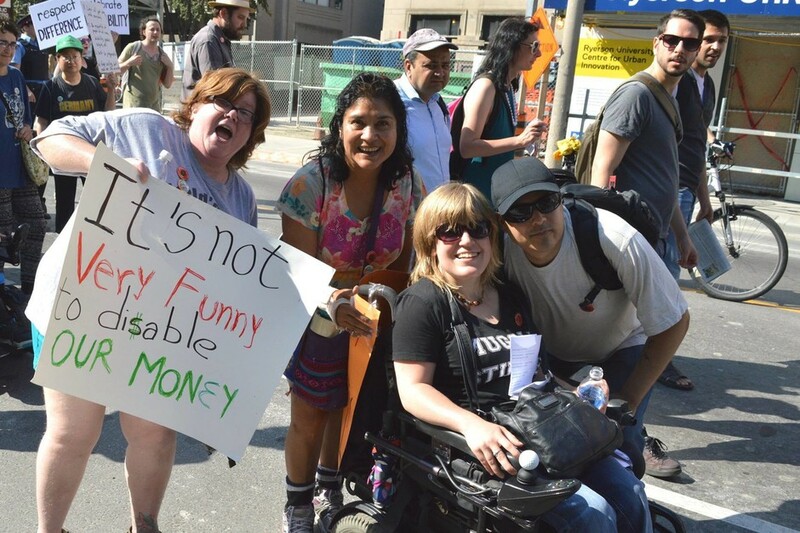 I’m Melissa, the founder of the Toronto Disability Pride March (TDPM), an event I’ve co-organized since 2011 with some amazing co-organizers: Kevin, Janet, Kaarina, D!ONNE, and Samantha. We also are fortunate to receive a lot of in kind support from activists and community members across the city. Each year over 100 disabled people and allies have joined in the march. The purpose of the march is to raise awareness of the issues facing people with disabilities in our community. Those issues are not limited to each individual’s daily challenges, but rather are compounded when we other systemic barriers such as class, race, gender, age, sexual identity, ethnic origin, poverty, etc. place a bigger and more oppressive barrier to us as a whole. Helping to fund the Annual Beverly Smith Award. Thank you for anything you can give to keep us marching. See you at the 2018 Toronto Disability Pride March! Melissa Graham hasn't posted any updates yet. Melissa Graham is managing the funds for this campaign. The campaign is for a personal cause.